A view of Vessel from within the luxe new mall at Hudson Yards. In 1671, the French chef François Vatel, distraught because the seafood course at a 2,000-person banquet for Louis XIV had been delayed, killed himself. That anecdote sprang to mind this past weekend as I stood atop Vessel, British designer Thomas Heatherwick’s 150-foot-tall sculpture in the plaza of Hudson Yards, the hybrid office park, condo haven, and luxury mall that officially opened last week in Manhattan. Just as the Vatel affair handily symbolizes the decadence of the French court, Vessel crystalizes, in a $150 million physical form, many of the most baleful issues of the present moment: the outsize influence of the wealthy, the fecklessness of elected officials, and the privatization of public space. One day in the future, when the writers of history textbooks want to illustrate the appalling contradictions of the present moment, it’s not hard to imagine them pairing an image of Vessel with statistics about income inequality in the United States. Over the past couple years, when I happened to be in the neighborhood, I looked at the monstrosity under construction with a mixture of disgust and horrified glee, in awe that so much money was being spent to build something so blithely tone deaf and, at the same time, so utterly banal—a huge network of staircases leading to nowhere. I know I am not alone in that feeling. Vessel has been very fun to hate from afar. And so, heading over to Hudson Yards this past Saturday, I was quite excited to finally set foot on the beast and walk some of its roughly 2,500 steps. How is it as an actual aesthetic experience? Very weird, and quite unpleasant, I am happy to report. Looking up from its cramped ground floor, where a panel glows bright blue (a bit like that strange orb President Trump and company touched in Saudi Arabia), you see row after row of the copper-plated steel that lines the staircases, resembling a high-end corporate headquarters or shopping center. It appears to have been specifically designed to induce intense amounts of dread and alienation. To be fair, one has to concede that Vessel has at least a few positive aspects: the views from atop the piece are impressive; it feels vaguely unsafe, particularly when it’s windy, which is kind of fun; and the staffers working to manage its huge line are friendly and unflappable. Each employee wears apparel emblazoned with a little outline of Vessel, which has been likened to a wastebasket, a shawarma meat cone, and honeycomb. For me, it most resembles one of those sets in sci-fi films where members of an alien tribunal gaze down on humans and condemn them to work in salt mines on some distant planet. Inconveniently out of the way for most New Yorkers and an instant magnet for tourists, Vessel seems likely to become one of those sites where locals never deign to tread, like Times Square or the Statue of Liberty (a beauty that I am ashamed to mention in the same sentence as Heatherwick’s soulless creation). But even if most don’t visit, I suspect it will still become one of those rare artworks that lodges in the public’s consciousness, conjuring thoughts about real-world problems. A friend who came with me proclaimed that visiting Hudson Yards had made him more certain than ever that it is time for serious reform in this country. “They should tax this place into oblivion,” he said. Hedge-funder Kenneth C. Griffin’s purchase of a penthouse near Central Park for a record-setting $238 million two months ago has given new energy to forces calling for a pied-à-terre tax and a wealth tax. One wonders what Thomas Heatherwick’s $150 million boondoggle will set in motion. Siah Armajani’s Bridge Over Tree (1970/2019) in Brooklyn Bridge Park. Needing to cleanse my palate after Vessel, I paid a visit to Brooklyn Bridge Park to see Iranian-American artist Siah Armajani’s Bridge Over Tree (1970/2019), another large-scale installation, this one quite unlike Heatherwick’s in that it is human-scaled, restrained, and tender. Installed by the Public Art Fund, it’s a roughly 90-foot-long wooden corridor with a humble pointed roof, open at both ends. Its walkway slopes up slightly until it reaches seven steps, which let you climb over an evergreen tree that’s planted beneath it. This is architecture at its most spare and most poignant: a simple structure that allows you to move from one place to another while also keeping another living thing safe. 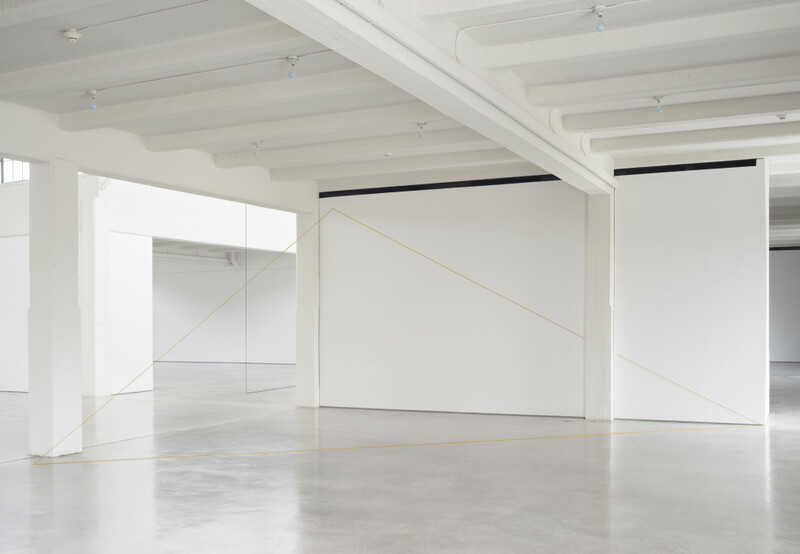 It recalled, for me, a Fred Sandback string work at Dia:Beacon in Upstate New York, in which one side of a yellow triangle is interrupted by a column. Rather than plowing through the interruption, the artist stopped his line near it, and began it again on the other side. Like that piece, Bridge Over Tree delights in negotiating the world as it is. It offers itself as a model for how the built environment can be made just a bit better—a little more interesting and a little more humane. Update, March 23: This post has been updated to state Vessel‘s cost as $150 million. While a cost of $200 million had been reported before the sculpture’s opening, that figure includes the square and gardens around it, according to Related.